Thursday nights are all about students! 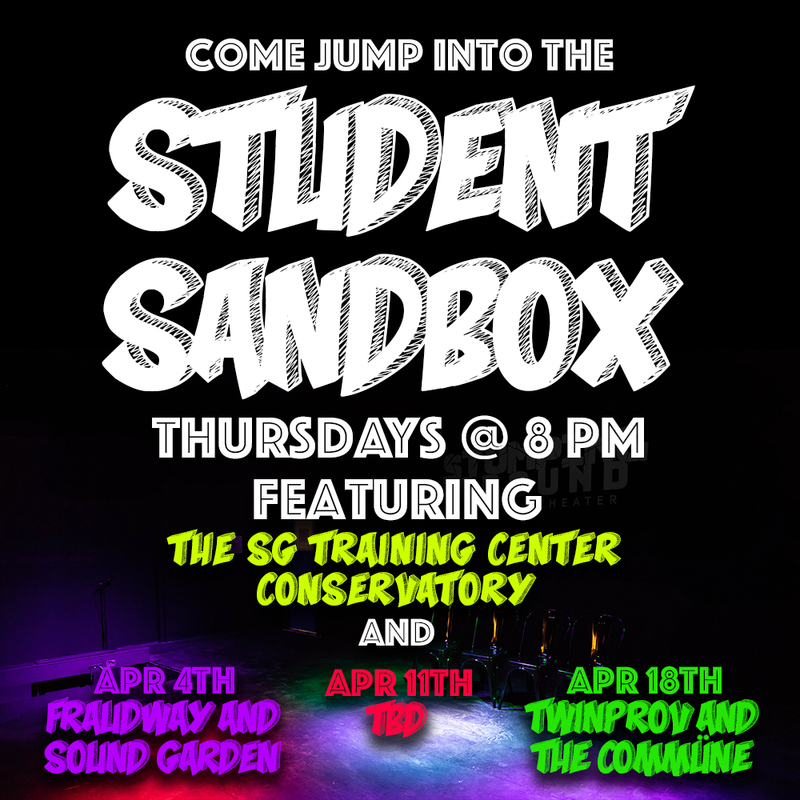 Check out our advanced level Conservatory students doing long form improvisational comedy alongside house teams and veterans. Thursday, April 18 show will feature the The Commüne and Twinprov featuring Remington Fenter and Jacie Hood.